Synology announced the availability of its new 18-series products, which includes DS218j, DS218+, DS418j, DS418, DS418play, DS718+, DS918+, NVR1218 and VS960HD in India. “India has a variety of businesses at all scales, and people are paying more attention to what they are getting”, said Mike Shay, Sales Manager of Synology Inc. “That’s why we are excited to launch our 18-series in India. We believe whatever their scale, our customers can find the right Synology server that provides smart and effective storage solutions to their needs”. DS218j, DS418j, and DS418: These 18-series entry-level NAS serves are designed for individual and home users, quickly which became the best sellers after its launch. These versatile yet budget-friendly NAS servers can not only serve as personal cloud storage, but also provide features with data backup, media streaming, photo management, file sharing, and more. With the user-friendly interface, you can manage, protect and share all your digital assets easily and efficiently. DS418play: Ideal for IT enthusiasts, home users and creative professionals who want to store large collections of photos and videos in one place. DS418play is equipped with Intel Celeron dual-core 2GHz processor capable of bursting up to 2.5GHz, providing excellent encrypted file transmission speed. It comes with a 2GB memory by default which is scalable to up to 6GB. DS418play supports up to two channels of H.265/H.264 4K video transcoding, which is ideal for serving as the home multimedia centre. DS218+, DS718+, DS918+: Three high performance Plus series NAS servers are specifically engineered for SMEs and IT enthusiasts. DS218+ is a compact 2-bay all-in-one NAS server which is ideal for studio and small offices with limited working space. Equipped with an Intel Celeron dual-core processor and AES-NI hardware encryption engine, DS218+ delivers exceptional file transfer speeds and advanced performance. DS718+ and DS918+ are equipped with Intel Celeron quad-core processor, delivering blazing fast file transfer experience. They are also available for expanding up to 7 and 9 drives, 6GB and 8GB RAM, providing a cost-effective solution that is both versatile and flexible for SMEs future demands. NVR1218, VS960HD: NVR1218 is a Network Video Recorder which provides an all-in-one, stand-alone private surveillance solution for PC-less management and live monitoring. NVR1218 supports 12 concurrent recording channels and a COM port interface that works perfectly to support POS integration which makes it suitable for retail. VS960HD is a palm-sized local display companion to Surveillance Station with up to 96-channel HD live view and dual HDMI for 4K and 1080p output. When configured with a paired Synology NAS or NVR, VS960HD makes an ideal TV wall solution. 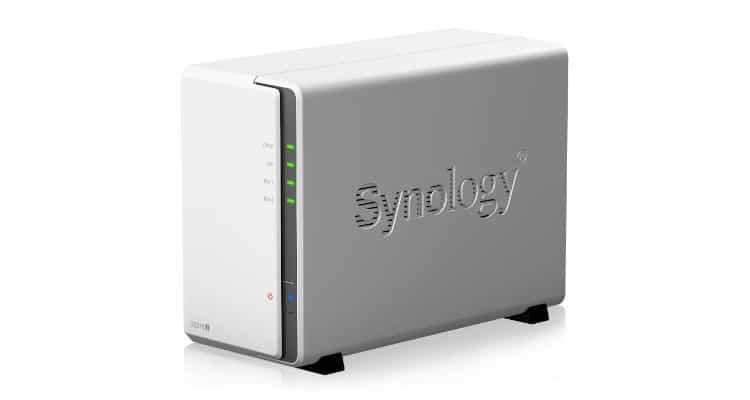 Synology Launches New 18-Series NAS and NVR Products In India 0 out of 5 based on 0 ratings. 0 user reviews.